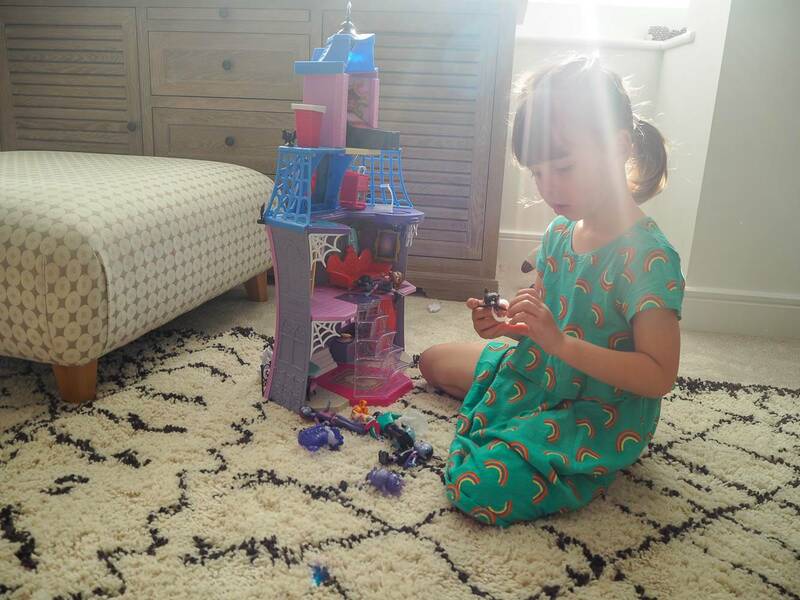 Vampirina…My Girls Favourite Disney Character! 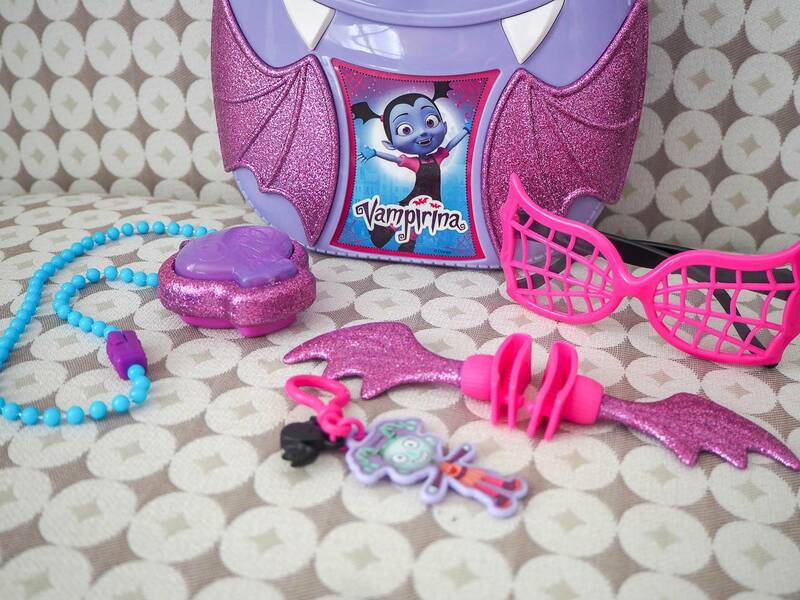 Do you have a Vampirina fan? My girls are aged 4 and 6 years old and I love it when a toy or a TV programme comes along that they both love. 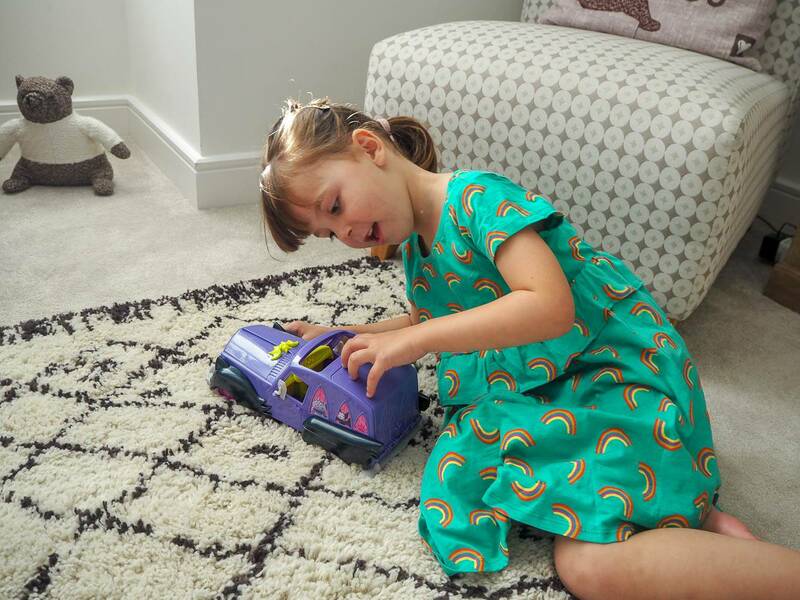 It’s lovely to see them enjoy playing with toys together and snuggling up on the sofa to watch a programme. It’s also saves a few arguments over what to watch. 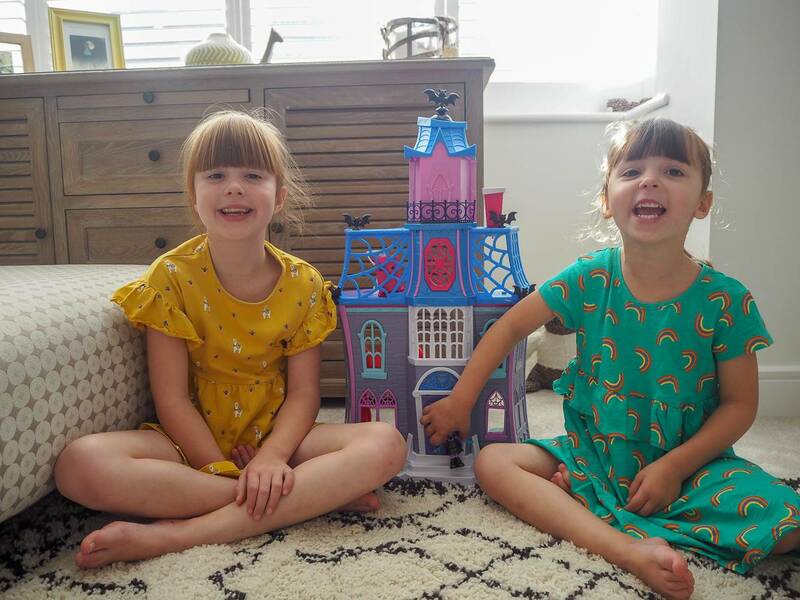 They’ve both loved Vampirina for a while now and I really love the story of Vampirina and how it explores the differences in people and seeing past that to make friends in a new school. 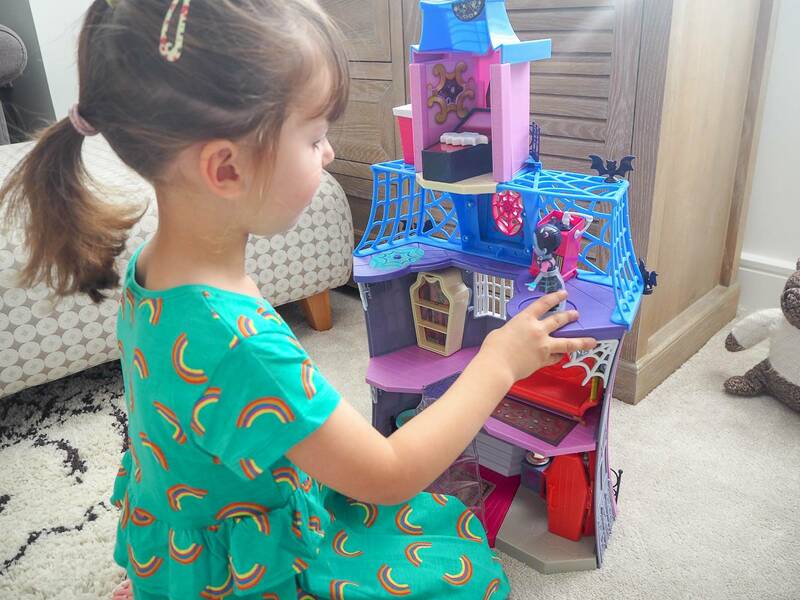 We were kindly sent some Vampirina Toys for the girls and they couldn’t wait to play with them. 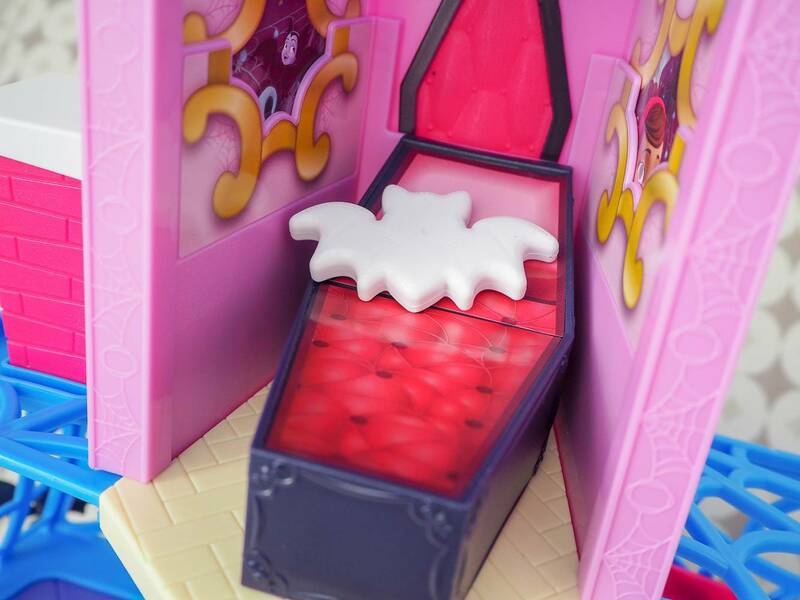 We were sent the Vampirina Scare B&B Playset, which is new for this Autumn and the girls faces when they saw it, just wow! 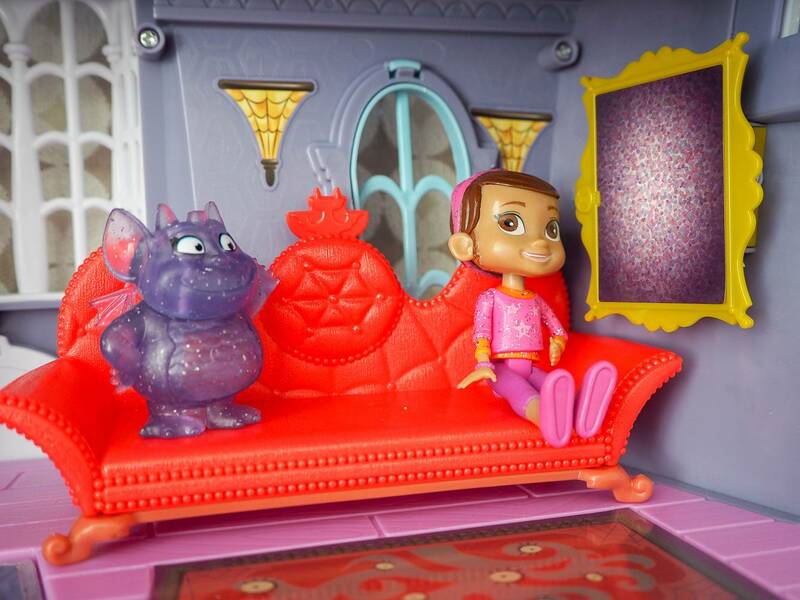 The attention to detail is amazing and it really is just like Vampirina’s B&B in the show. 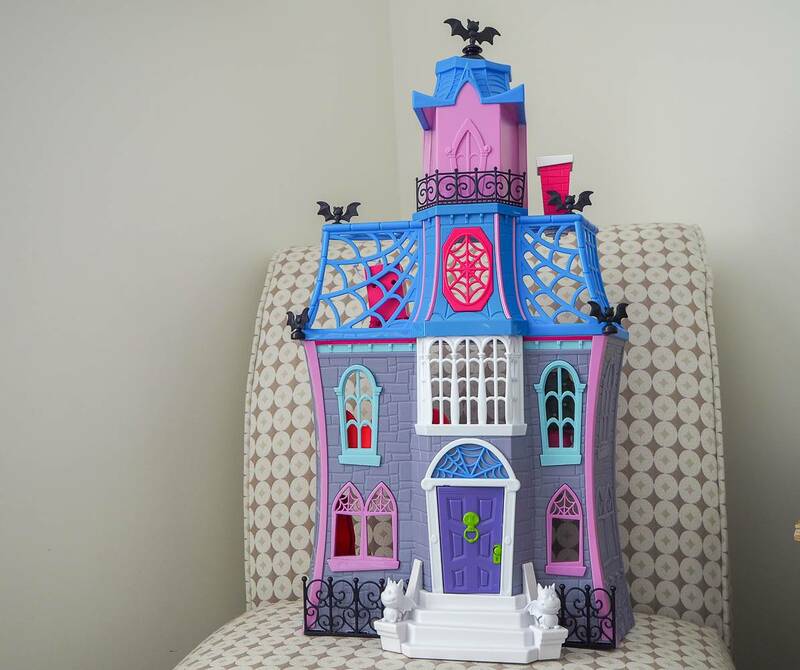 If you’re new to Vampirina, then her parents recently moved to Pennsylvania and opened a B&B for their visiting guests. It is on three floors and there is so many different elements to it and hours of entertainment and fun. 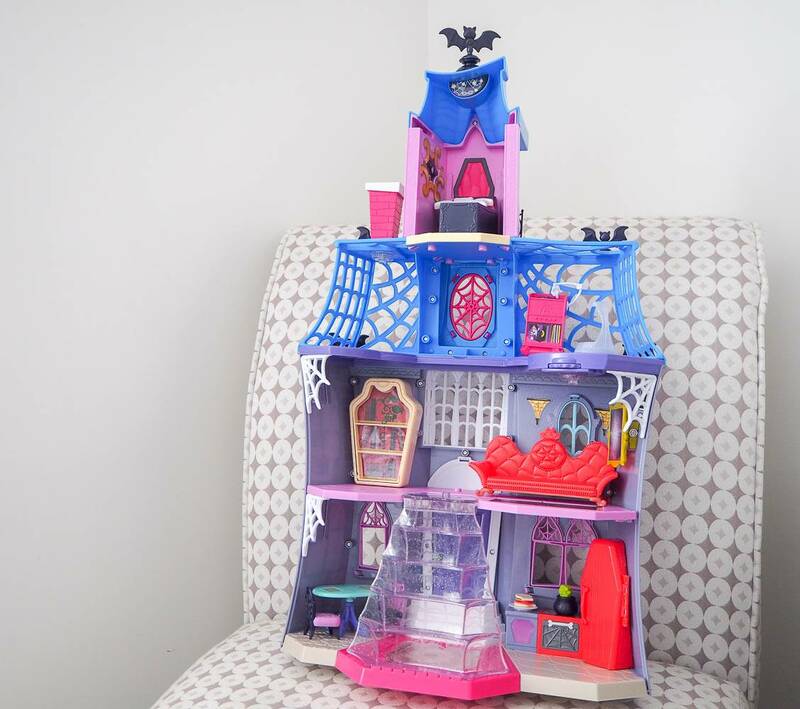 You have Vampirina’s bedroom right at the top, with her bed and pillow which are not attached. 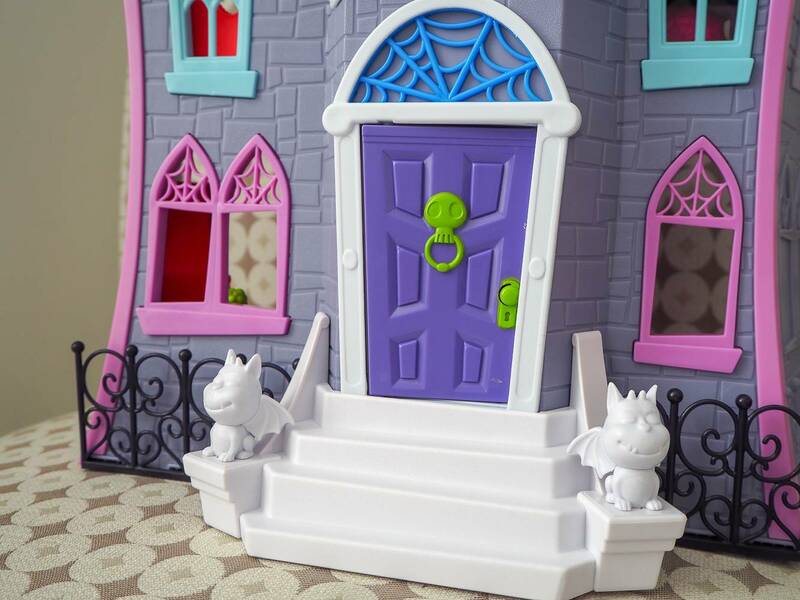 It comes with 2 figures, Vampirina and Poppy and there are parts of the B&B where they can interact with it. 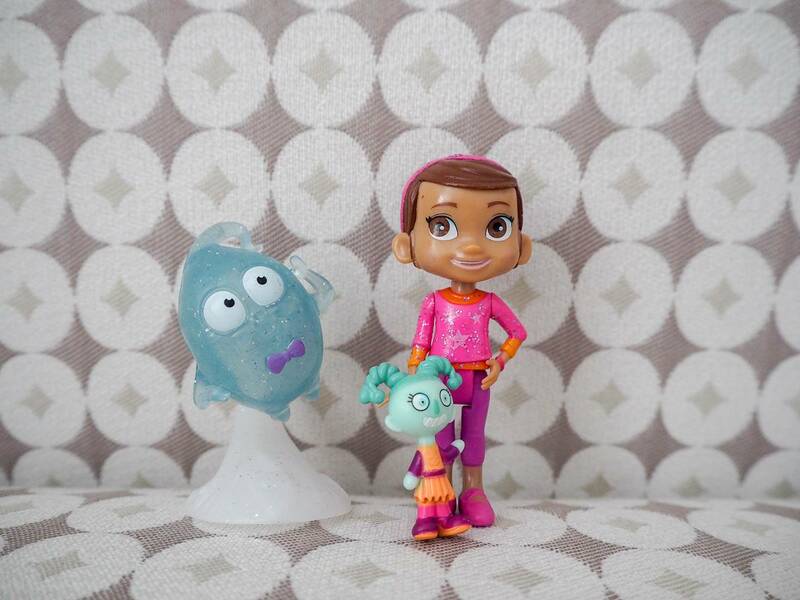 There are 6 spots in the house where if you place Vampirina she will glow. Holly hasn’t stopped playing with it since it arrived. 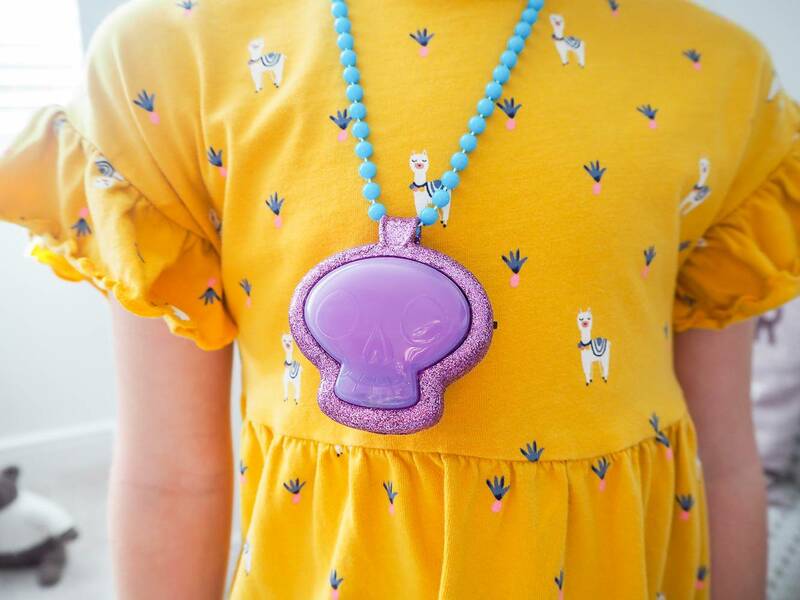 She is definitely a little girl who loves interactive toys like this. 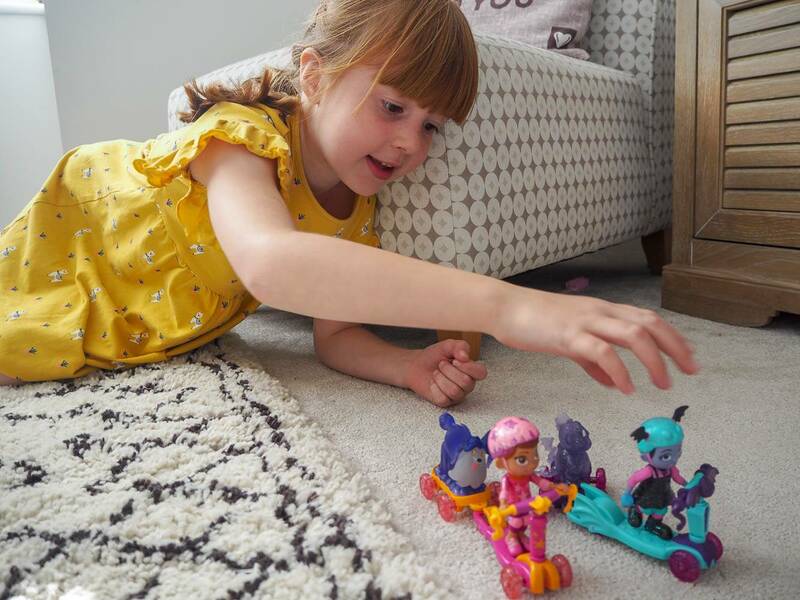 We were sent a full set pf figurines which are great for using with the B&B and definitely helped Holly’s play. 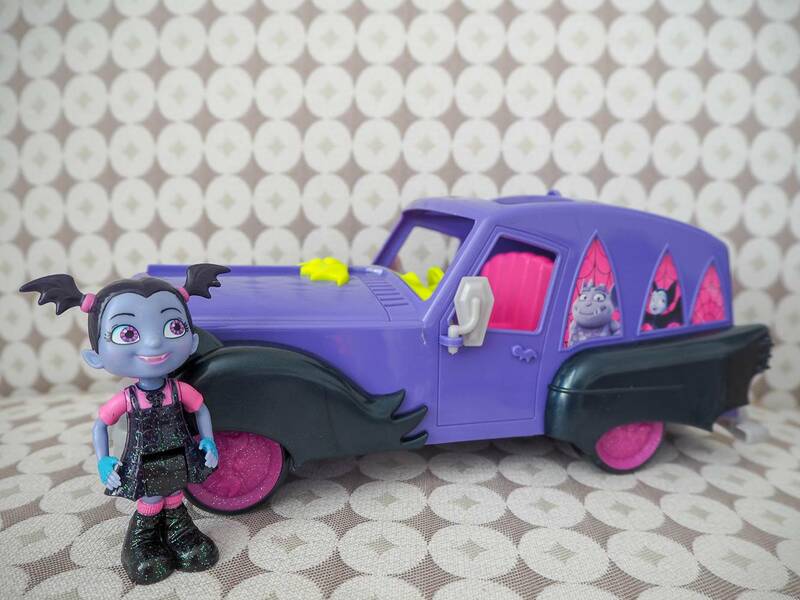 We were also sent Vampirina’s Hauntley Mobile Vehicle and Holly loved it. This is no ordinary car and it transforms into a drive in cinema. 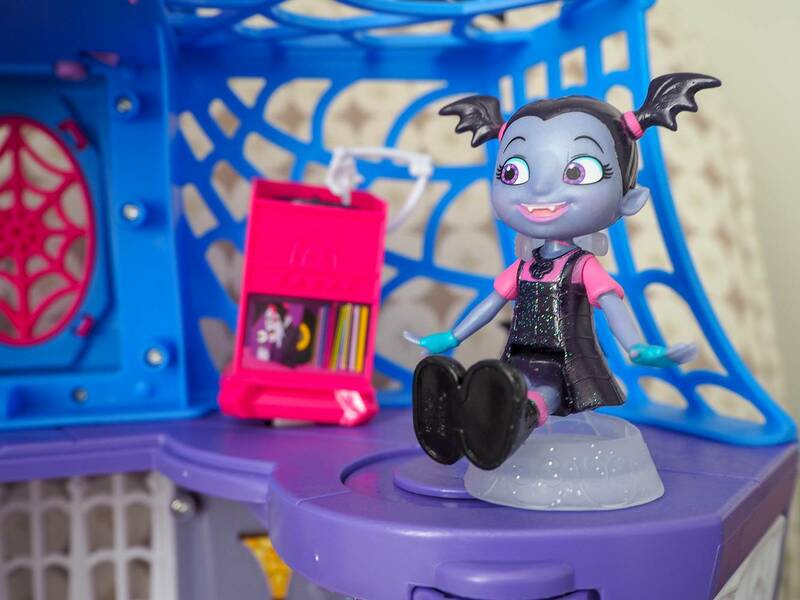 It also comes with a Vampirina figure too. 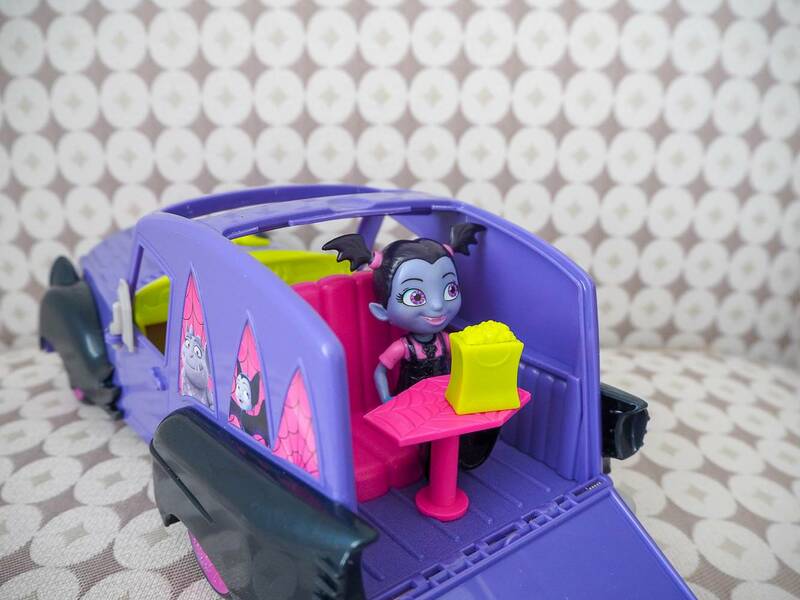 At the back of the car it opens up and you will find a table and TV for Vampirina to watch. It has real working headlights and it has sound effects too. It was a big hit with Holly. 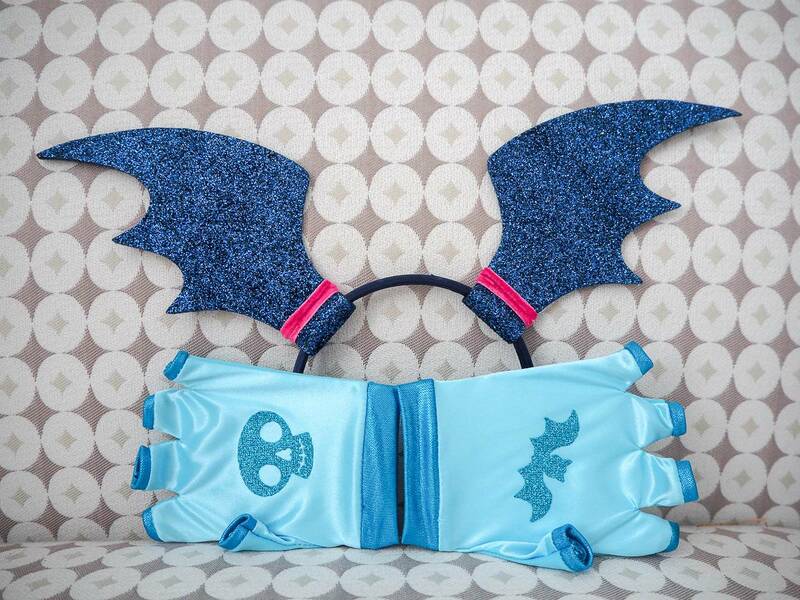 We were also sent 2 Vampirina Spooky Scooter sets. 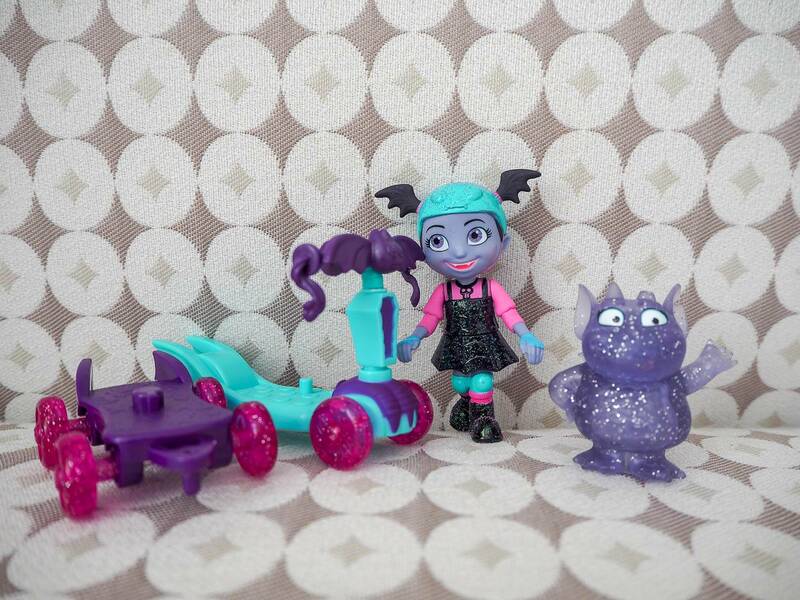 The first one has Vampirina and her pet and the scooter set also comes with a skateboard which can attach on the back of the scooter so they can ride together. 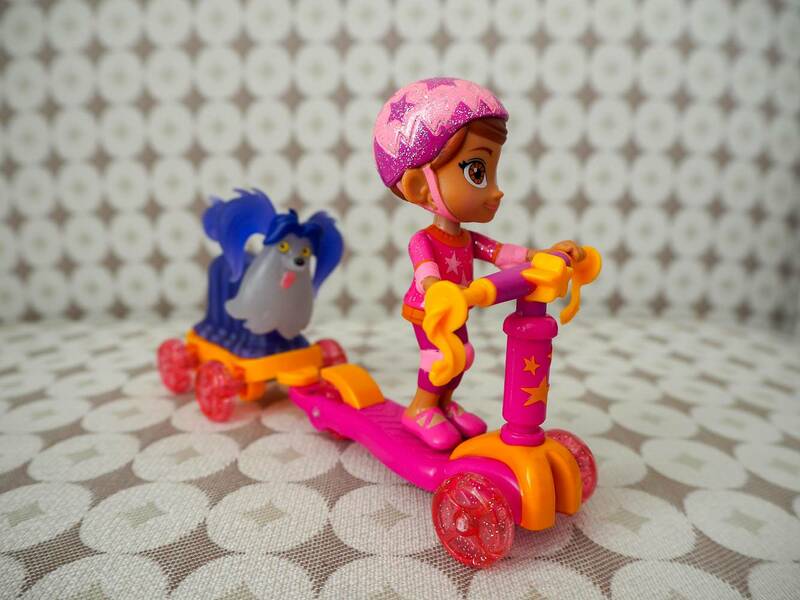 The 2nd scooter set was Poppy and and Wolfie and again it has a skateboard for Wolfie to have a ride. Alice loved making them have a race and she would mix it up sometimes with different people on different ones. 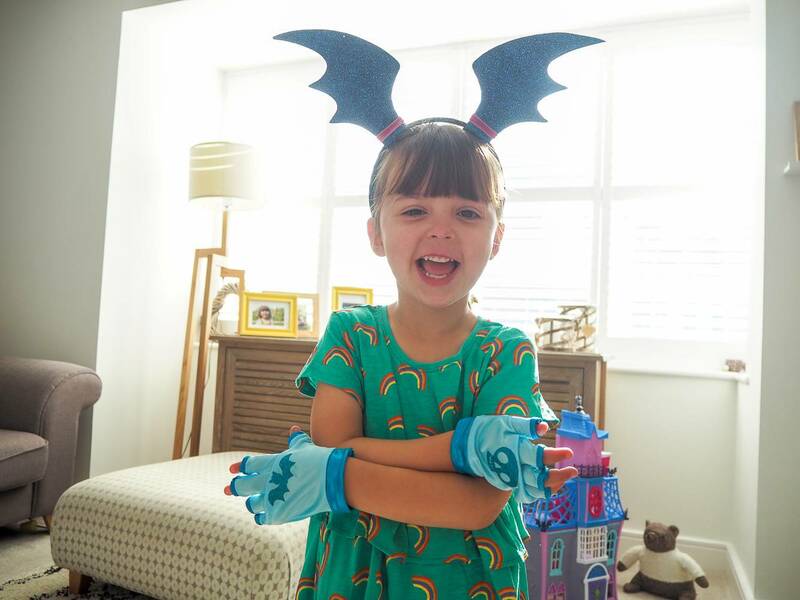 The girls love to dress up like their favourite characters too and Holly was very excited when she saw we had been sent Vampirina’s headband and gloves set to wear. Doesn’t she look brilliant? 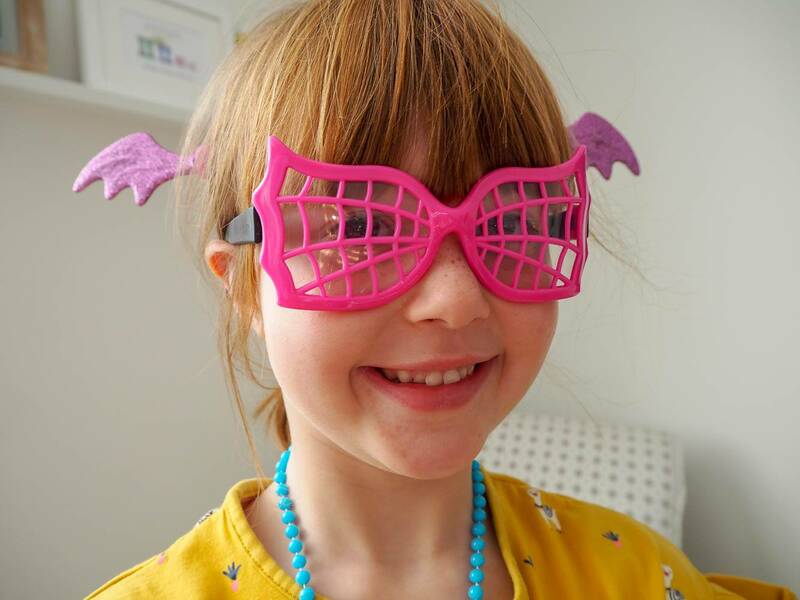 My own Vampirina! 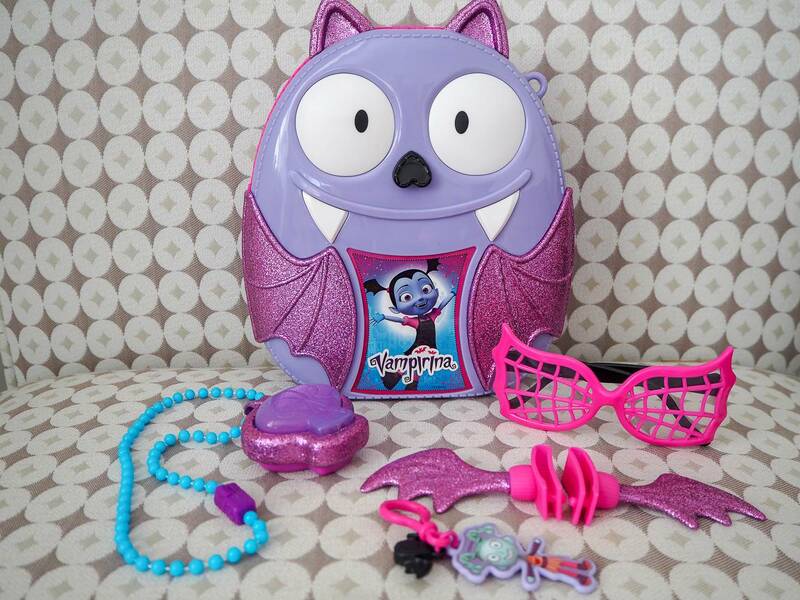 Not to be excluded Alice spotted that we had been sent the Vampirina Backpack set and this included not only a backpack, but also a necklace, sunglasses, bat wing hair clips and creepy Caroline backpack clip. 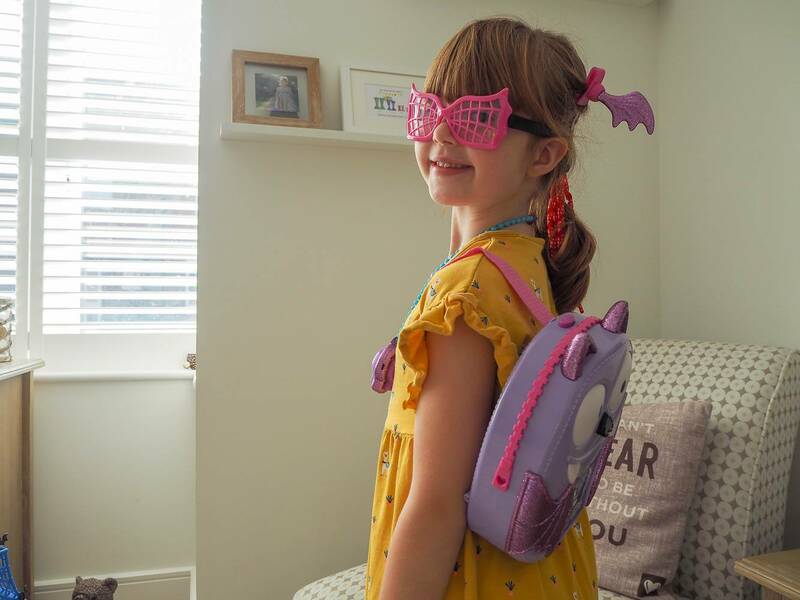 Alice just loved all the accessories that came with the backpack and couldn’t wait to put them all on. I think she looks pretty cool! A very happy Alice. 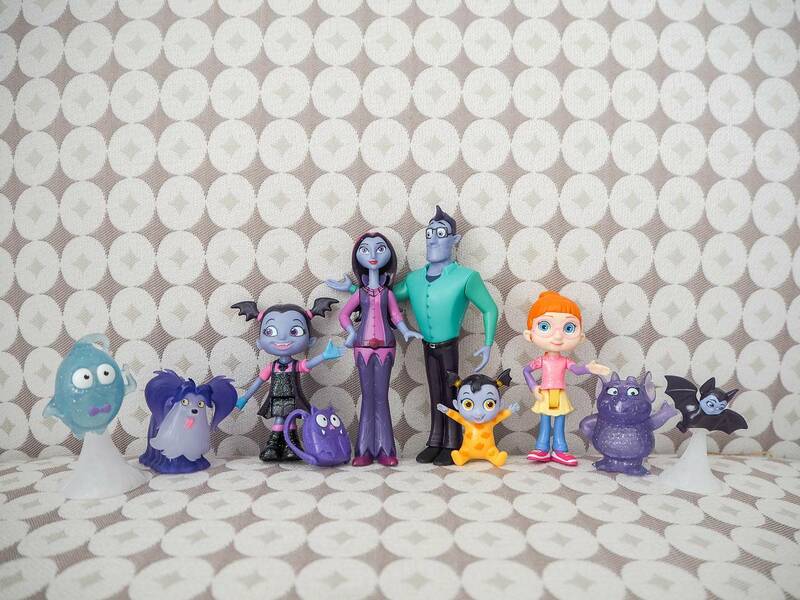 We were also kindly sent different figure sets, which are great additions for the B&B, the car and any Vampirina lover would like them. 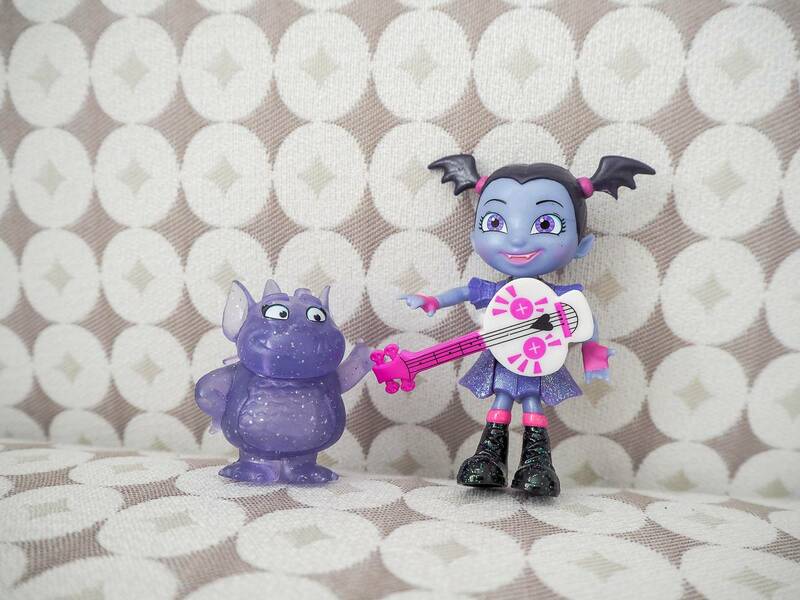 This first one is Vampirina and Gregoria, along with her guitar which is clipped around her stomach and does come off. The second set is Poppy and Demi and there are other sets too for you collect. The girls have spent hours playing with these different sets since they arrived and I can see they are going to be a firm favourite for a while. Here are all the prices and details on where to buy all the different toys. On Thursday 25th October at 1pm come and join us for a Twitter Party at UKMums.TV. It will be lots of fun and prizes to be won too. I will be going and I hope to see you there too! Disclosure: We were kindly sent our products in return for an honest review. All views, opinions and photos are my own. 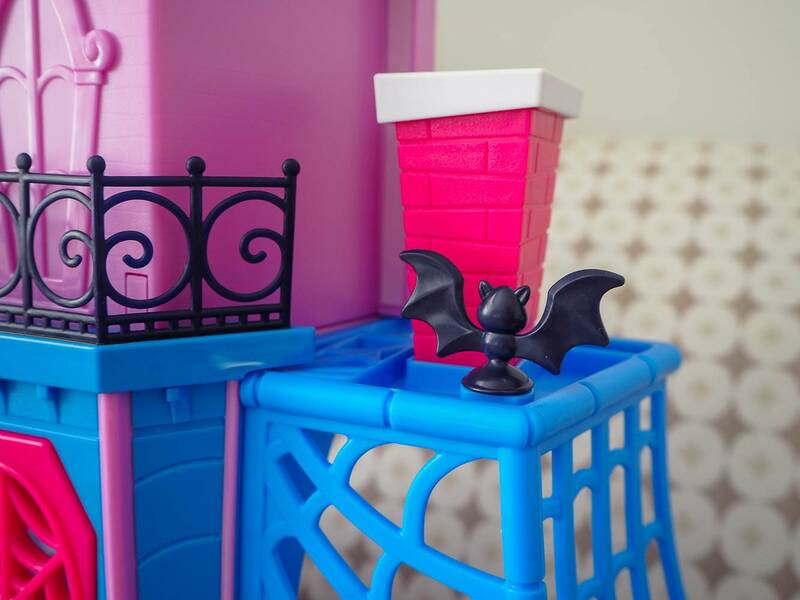 My goddaughter is all about Vampirina these days, she would love these toys. My daughter was looking at the pictures and commenting while I was reading your review. She wants this house for Christmas! I think my kids are missing something here, they have never seen Vampirina! I will have to introduce them to it, looks fab! This looks perfect for this time of year, mine are all into their witches and Halloween so would probably love this! 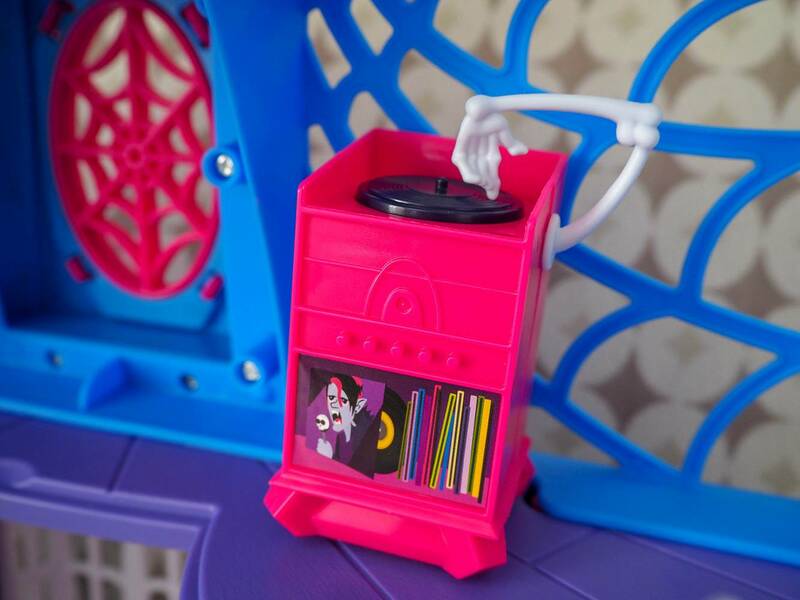 What a cute play set. My kids love Vampirina too. I like the soundtrack!